Upcoming Events Featuring Golden Gate Furniture Company! Our workshop will be open to the public during Weekend 3 of Artspan's SF Open Studios, a month-long city-wide event that takes place over five consecutive weekends. Our Location will be open to the public the weekend of October 27 & 28, which includes the Dogpatch, Bayview, and Potrero Hills neighborhoods. Our workshop will be open to the public for Spring Open Studios at our Islais Creek Workshop the weekend of April 21-22. 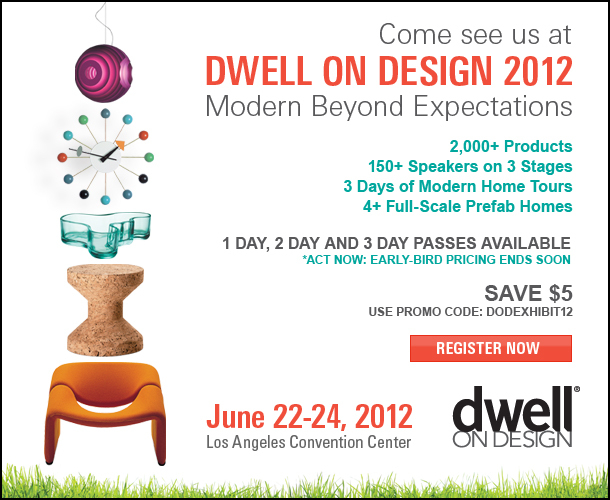 Come visit us at the Seventh Annual Dwell On Design Show in Los Angeles from June 22-24, 2012! 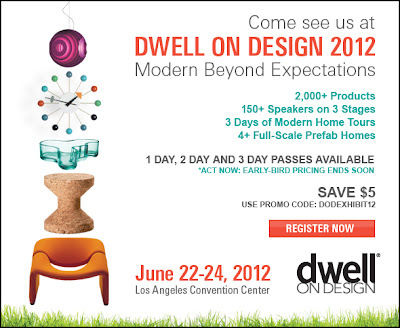 This premier West Coast event will be a three day celebration of modern design at the Los Angeles Convention Center. 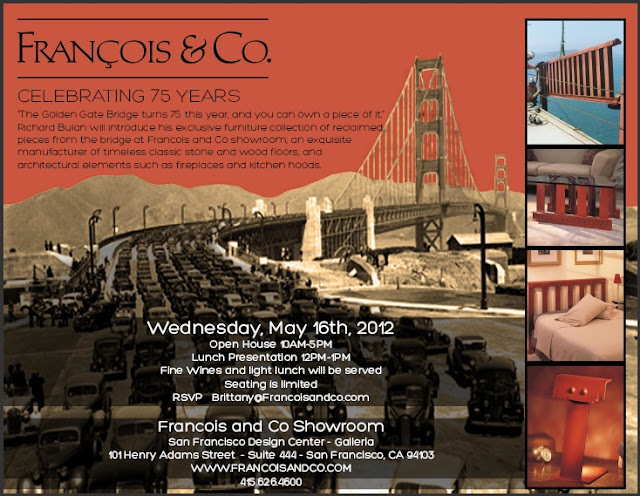 Come visit us at the San Francisco Design Center on May 16, 2012! The Francois & Co. showroom in the San Francisco Design Center will be hosting an Open House from 10AM to 5PM. Our product will be on display and Richard Bulan will be giving a presentation at lunch from 12PM to 1PM.